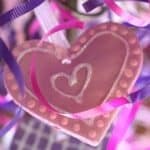 I was taken swiftly back to my childhood when I read Robyn’s post for Salt Dough Ornaments back in November. Robyn, the friendly voice behind the blog add a pinch, had made Christmas ornaments with her son. And I immediately knew I wanted to get crafty with my own girls. My memories of making salt dough ornaments, however, are linked to a different holiday. To Valentine’s Day. 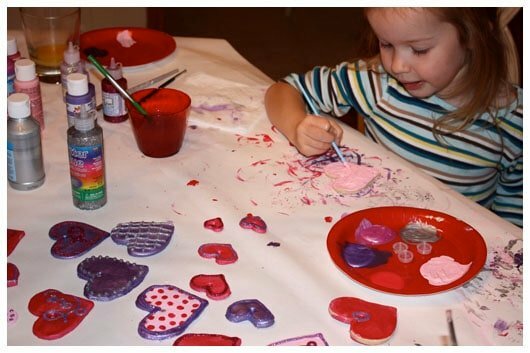 So we pulled the heart shaped cookie cutters out of their hiding, made a trip to Michael’s for some paint, glitter glue, and ribbon – and we got to work! The project was a great spirit lifter during these cold drab days of winter, and a great opportunity to add some color and sparkle back into our home after all the Christmas decorations had been stored away. 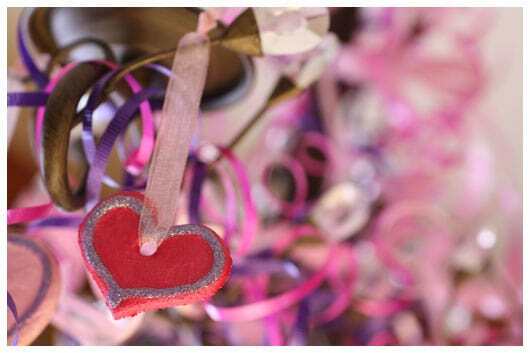 This year, in addition to our dining room chandelier being strung in ribbons of pinks and purples for Valentine’s Day, we have hung our heart shaped ornaments. They are full of cheer and the topic of quite a few mealtime conversations. paint, glitter glue, ribbon, etc. – whatever you want to use for decorating! Preheat oven to 250°. 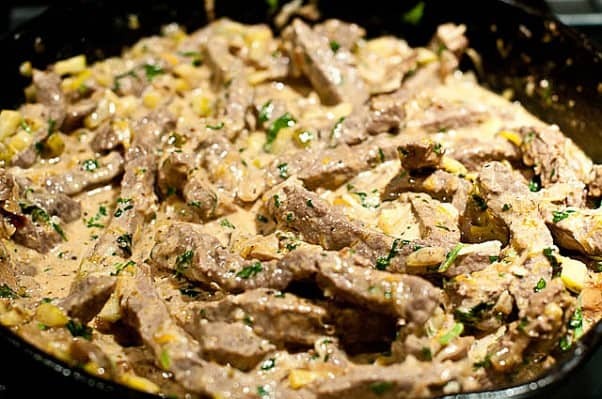 Line a cookie sheet or two with parchment paper and set aside. Mix together the salt, flour, and water in a large bowl until dough is formed. Remove dough from bowl and place on a lightly floured surface. Knead until dough is smooth. Add flour a bit at a time if dough is sticky. You don’t want to add too much flour as it will cause your ornaments to be too dry. But I found that adding some flour helped. Roll dough to 1/4″ thickness with a rolling pin. Cut out shapes with cookie cutters and remove the shapes to your lined cookie sheets. 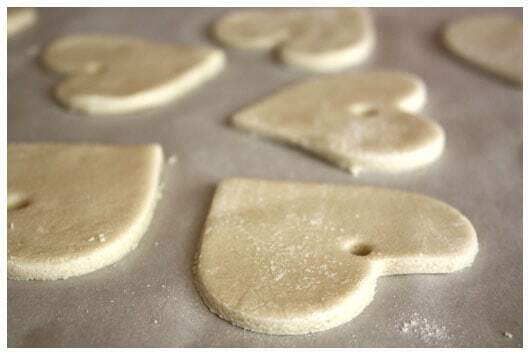 If it is hard to get your ornaments up nicely, experiment with adding a bit more flour until it works better. 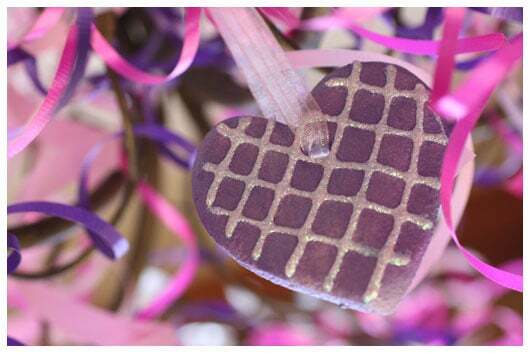 Punch a hole in the cutout dough with a plastic straw for inserting a ribbon when finished. Bake for 2 hours. Remove from oven and cool completely before decorating. Paint your ornaments in your favorite colors and patterns, etc. Allow to air dry. If you want, you can apply a thin coat of sealer such as a clear spray paint or a varnish. Insert ribbon or string into your pre-punched holes and hang. Note: This makes a rather small amount of dough. If you want to make quite a few larger ornaments, you will want to double the recipe. Have you visited Robyn at add a pinch? She is a southern sweetheart and I am so blessed to know her. A few months ago, she adopted me through Adopt a Blogger, a site set up by Kristen of Dine and Dish that matches up rookie bloggers like myself with those who have blogging wisdom to share. Robyn is a busy gal who shares her life online, always with a smile. From handy organizing tips, to beautiful travel photos, to homeschooling inspiration, she has a charming way of making a person feel right at home. And did I mention recipes?! Yes, Robyn’s after my own heart in the kitchen. I love to check out what she’s just put on the table. 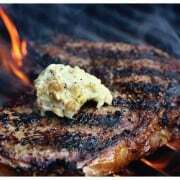 I’m linking to a few of her recipes that caught my eye when searching for some special Valentine’s Day dishes. Check out the deliciousness from appetizer to dessert! 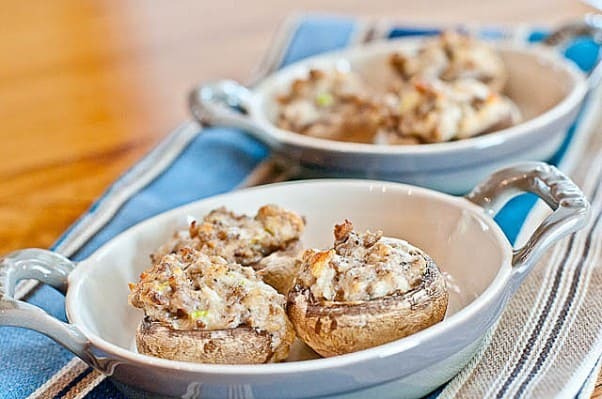 I haven’t met a stuffed mushroom I didn’t liked, but these look especially delicious. 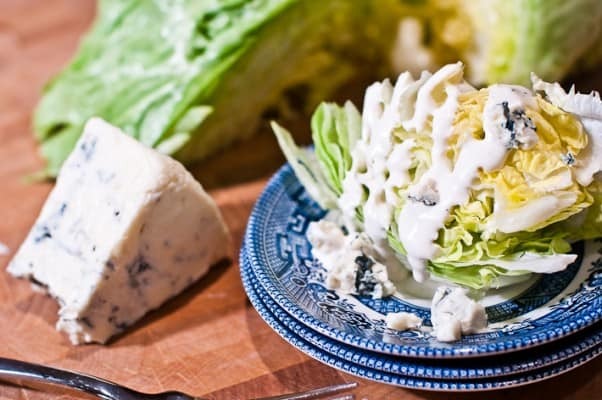 Robyn’s recent posting of this simple salad sent me into a blue cheese frenzy for a week! 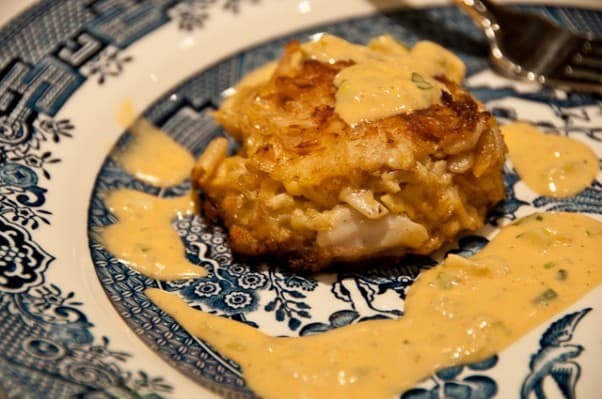 I like my crab cakes moist and full of crab meat, with very little fillers, just like Robyn. This recipe definitely intrigues me. It has dill pickles in it. I HAVE to try it! 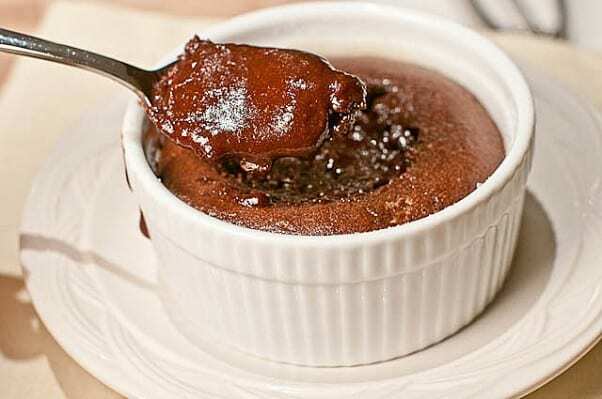 Chocolate is the perfect finale for a Valentine’s Day meal. 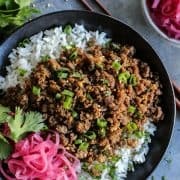 This looks absolutely YUM! Or does your special meal not involve dirty dishes? Looking forward to making these fun ornaments with our kids!! Thanks for the fun and beautiful idea! Oh, YAY, Lisa! I can just picture your happy bunch making these! What an absolutely great craft to share with kids-especially, during this wicked winter we have been experiencing. Thanks for sharing Robyn’s blog with your readers. I will check it out. Adopt a blogger is a great idea. Wonderful to hear from you, Velva! Thanks for visiting! What memories that brings back. I haven’t made salt dough ornaments in many years, but did it several times my girls when the were younger. Yours look lovely and what a great memory for your daughters. Thanks for sharing through Saturday Swap. Thank you, Becky. And great to hear from you! What a post! 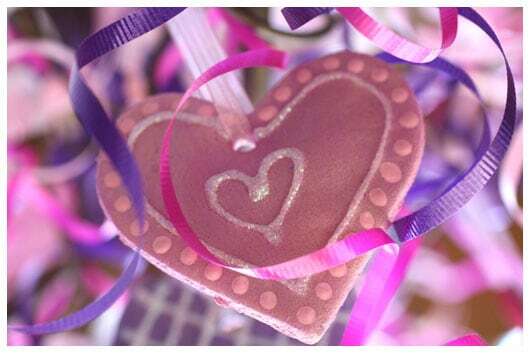 The Valentine’s ornaments are darling and the recipes look wonderful. What a nice time you must of had together making these ornaments. Yes, Paula, this was a fun craft. I’m sure we’ll be doing it again. Maybe like Robyn this time, for Christmas ornaments. Salt dough! Makes loads of memories come flooding back! Gosh I remember making salt dough christmas decorations when I was a kid at school, even at nursery school! I think I’ll get down to the craft store and get some ribbon and glitter glue and have a go myself! They’re so pretty!! I love them! they look good enough to eat! I am going to have to make these with my littles…! Thanks, Michelle – have fun! Thanks, dear Donna. Hope you have fun with this project. Happy Valentine’s Day to you, too! Okay, these are ADORABLE… and I’m SO impressed with how you’ve spent your time inside! I on the other hand have been SOOOOO lazy. Thanks so much for posting this! I will show this to my kiddos and we will make these today for our 4th day iced inside. Just beautiful photos….. your sweet girl is precious! Thanks so very much for linking to Saturday Swap!!! Have a super weekend…. Thank you, Kim! This weather has been crazy…hope you have fun making these! Oh my goodness, Brenda! 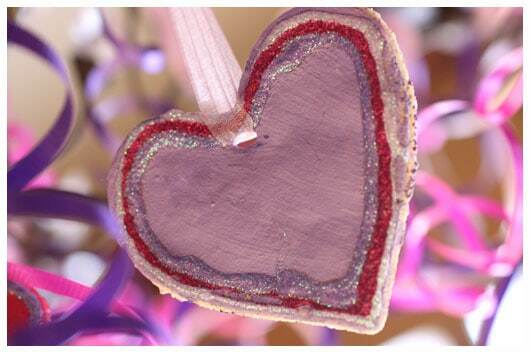 Now I’m headed to the baking cabinet to pull out our heart cookie cutters! 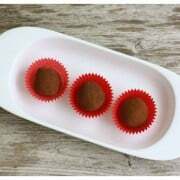 We’ll have to make these for our Valentine’s this weekend.